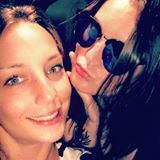 @aceofstyle is on Carousell - Follow to stay updated! 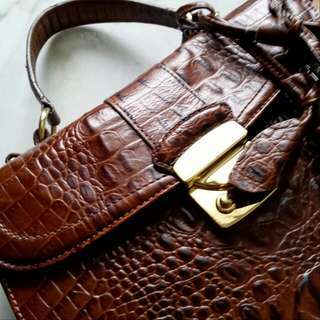 This lovely crocodile embossed leather bag is a teensy top handle in chestnut brown with gold hardware. Is has a robins egg blue interior and includes original dust bag. 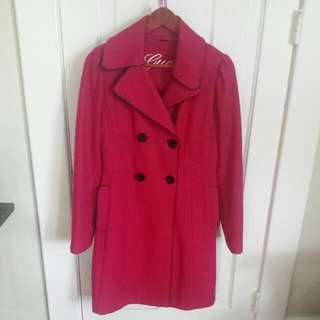 This wool winter coat is a bold magenta is a size medium but fits more like a small. A beatifully tailored fit, this is a statement coat. Retails for $300. 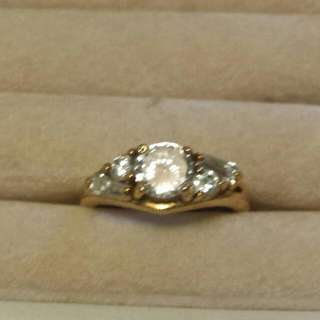 This semi precious diamond ring is 14k gold plated so no tarnish. It is a size 7. Size xs. This classic coat is beautiful Italian wool in camel. It is still listed online and is in new condition. I am only selling due to downsizing. 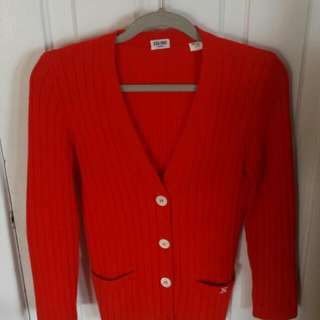 This authentic Celine cardigan is an orange red with which buttons for a retro feel. 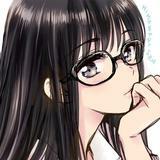 It is a slender fit and is a wool blend. 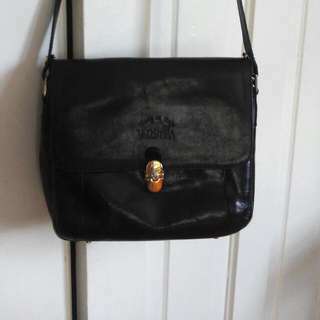 This beautifully worn vintage satchel is genuine leather with gold hardware. It is a medium size and has lots of inner compartments. The exterior is in soft shiny condition. It has a sleek minimal style which makes it timeless. This desk is a dark wood finish with 2 deep drawers and one shallow. It has a monitor shelf and silver hardware. It is disassembled but with all required screws available. Pick up only. This authentic Michael Kors watch comes with original box and care booklet. 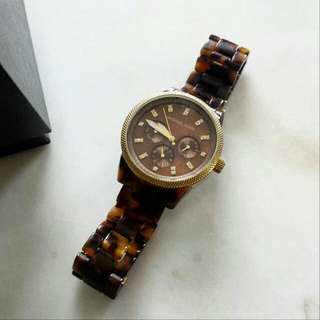 It is tortoiseshell in material with gold hardware. Retails for $300. 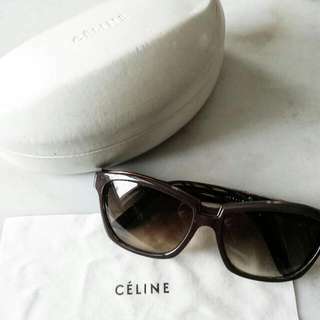 These sunglasses are authentic Celine in a deep drown shade with dark hardware. They are a classic shape, flattering on every face! They retail for $600 at Holt Renfrew, include dust cloth and case. 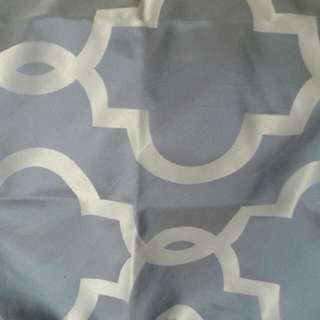 This duvet has a classic light blue and silver print with a soft light blue underside. It has 2 matching shams. Fits a double/queen size bed and is in new condition. 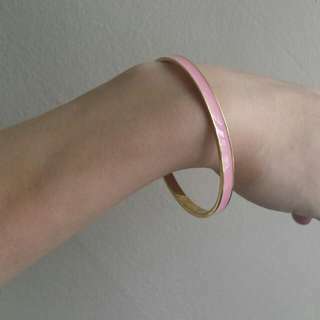 This sweet Kate Spade bangle is a light pink with 14k gold plating and it has an engraving on the inside that says "ooh la la". 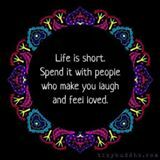 Makes a great Valentine's Gift! 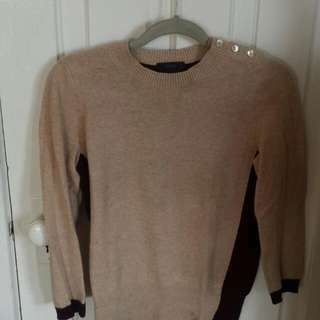 This sweater is a wool/cashmere blend and is a soft camel colour on the front, a deep maroon at the back with a leather elbow patch. Is is a size xs-s. Retails for $150. 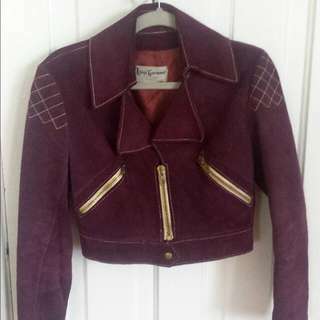 This vintage moto jacket is plum in colour, fits a size small and has a cropped body. Looks amazing with hi waisted jeans! 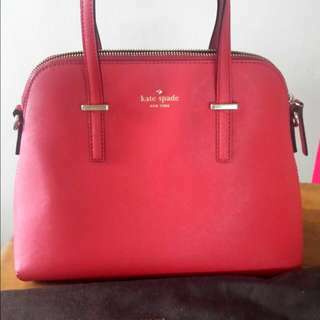 This Cedar Street Maise is a classic Kate Spade collection, always available and current. This colour is called Maraschino, a bold red, with 14k gold plated hardware. 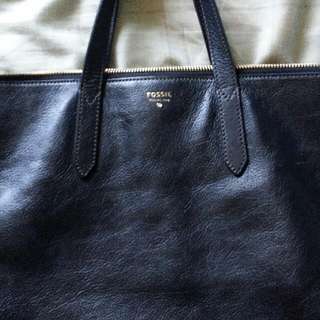 Includes authenticity card and dust bag. 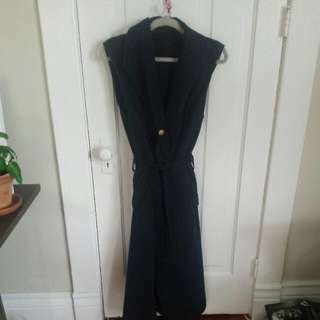 This long navy vest coat was purchased in England, is one size and has pockets. Great for layering. Brand new condition. 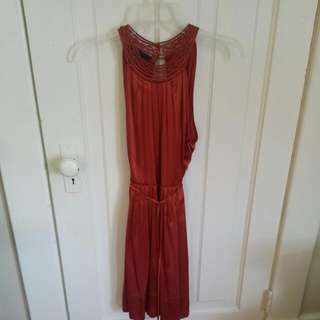 This dress is by BCBG Max Azria and is a copper silk dress with beautiful embroidery. It is a size 0-2. 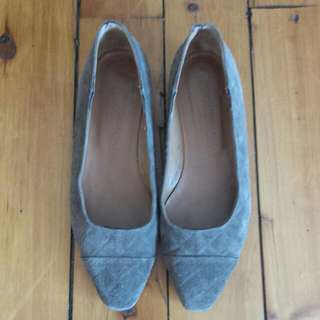 These are a vintage pair of flats which belonged to my chic grandmother. 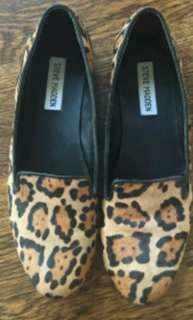 They are a size 36 in quilted tan suede.